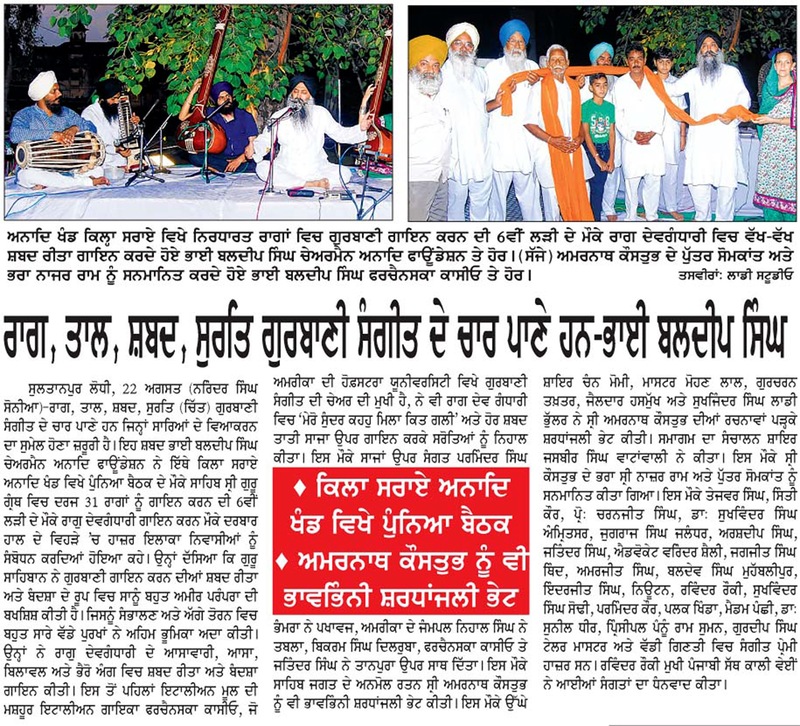 A press report by Narinder Singh Sonia in Daily Ajit (Punjabi vernacular). August 23, 2013. Kapurthala/Phagwara Section. Page 11.